The dahi wada is basically soft balls of soaked and pureed lentils mixed with chilli powder, salt, and black pepper; dunked in generous amount of yoghurt. 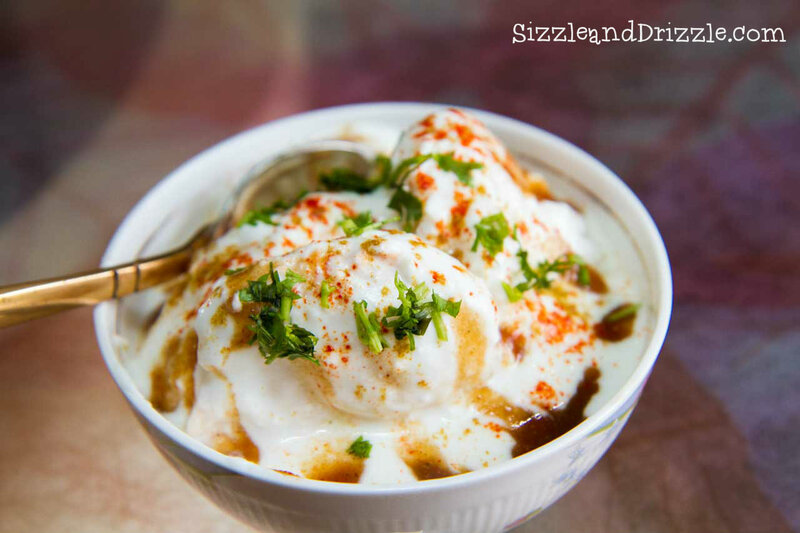 It is a favorite snack and breakfast item in several parts India with a few local variations, The venerable dahi-wada is one of the most famous chaat items from India, it is true to its form and you will be definitely licking the bowl once done. 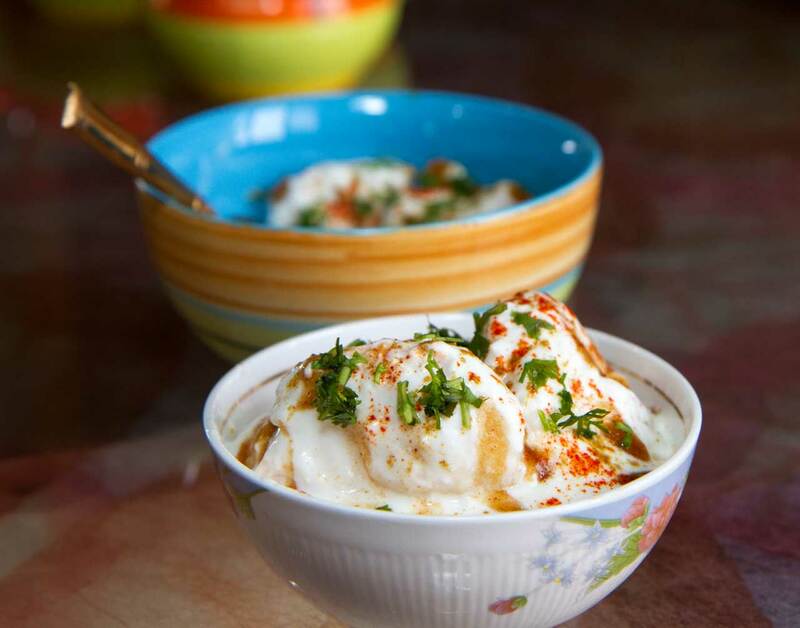 Enjoy the refreshing dahi-wade in the sizzling summer of India! Soak the dals (lentils) in water for 2 hours. Strain, but reserve the water. Then grind it in a mixer with the ginger and salt. Add the reserved water and grind it to a batter of dropping consistency. The vada batter should easily fall off your hands, but it should NOT be runny. Heat some oil in a skillet. Fry 1/4th cup sized dollops of the vada batter, till each dollop turns golden brown. Strain on an absorbent paper. Take a vessel filled with hot water. Immerse the vadas into the hot water, one by one, delicately squeezing it 2-3 times inside the water, before taking it out. This removes all the excess oil from the vadas and makes them soft, ready to absorb yoghurt and spices. Boil together all the ingredients of tamarind chutney for 5 minutes with 1 1/2 cup to 2 cups of water. Let it cool. Remove tamarind seeds if any. Grind it finely in a mixer with the water till a smooth runny consistency is formed. This chutney stays well in the refrigerator even for a month. Whisk together the yoghurt and water till smooth. Add chilli powder and salt to taste. Submerge the vadas in the yoghurt mix and let it absorb the flavors for 5-10 mins. Serve in a bowl and then sprinkle some chat masala or pepper powder and tamarind chutney. Drizzle chilli powder and salt if required and finely chopped coriander leaves. 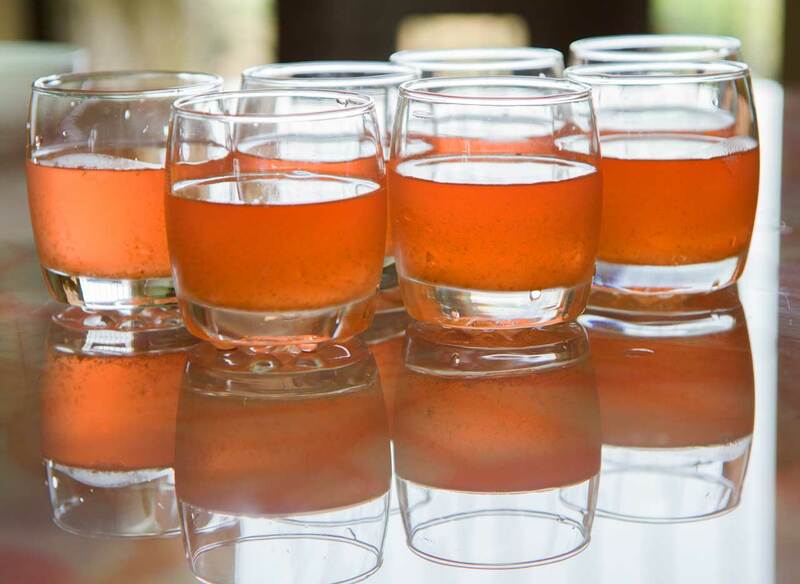 Have a glass of fresh amrut kokam and stay cool this summer! May23May 23, 2013 • By Rutvika Charegaonkar • This entry was posted in Writing and tagged healthy lentils snack, Indian chaat, yoghurt based snack. Bookmark the permalink.